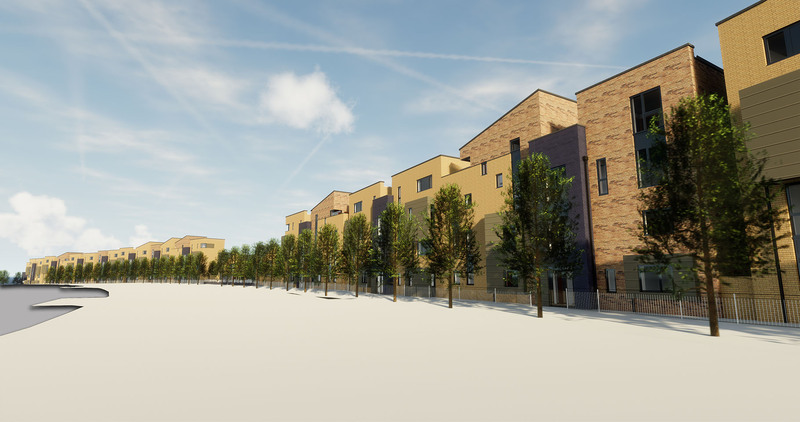 Liverpool Mutual Homes (LMH) appointed Bowker Sadler to design plans for a major development of 145 high-quality homes on Edge Lane, Liverpool. 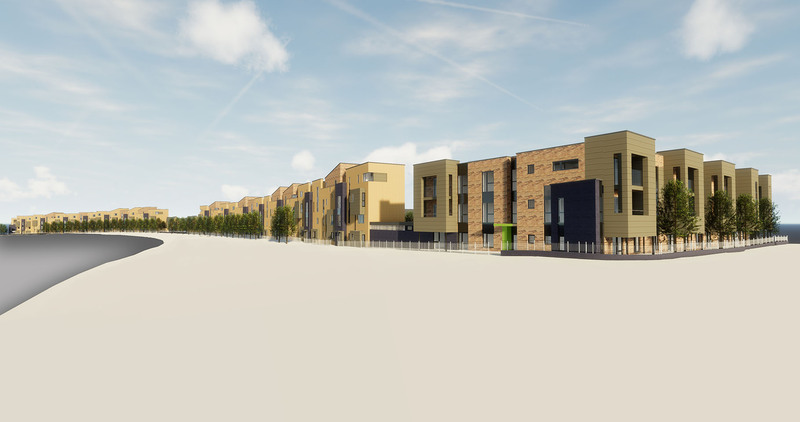 The development promotes a landmark mixed tenure scheme on a gateway site between the M62 and Liverpool city centre, and forms part of a wider award-winning partnership approach to create 1,500 new homes across the city. 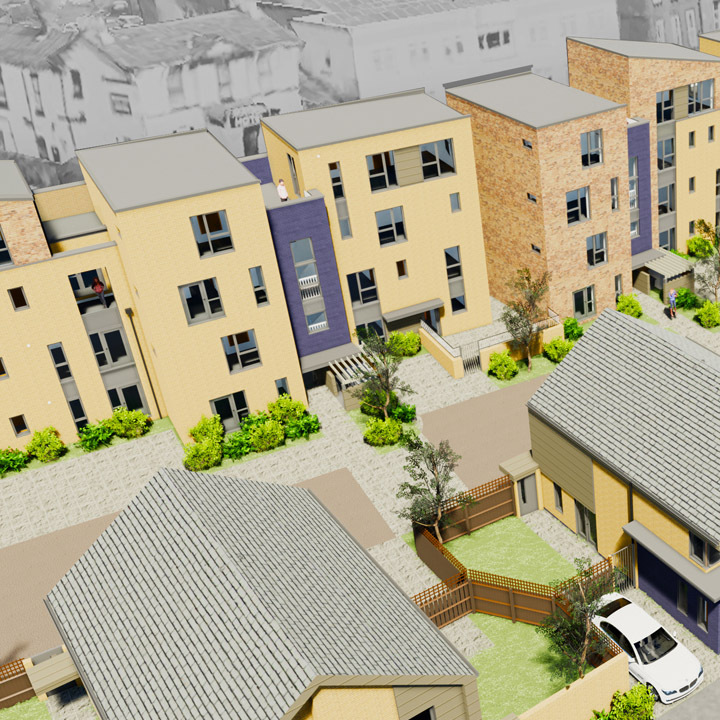 The proposal is divided into two primary elements – distinctive three to four storey properties facing Edge Lane, and two and three-bed homes facing Royston Street. Visually striking and contemporary in nature, the scheme provides a unique identity and sense of place.